Arcam would turn out to be one of Industrifonden’s most successful investments, following a series of twists and turns. This is the behind-the-scenes story about how a struggling but innovative company grew into a highly successful, profitable business. 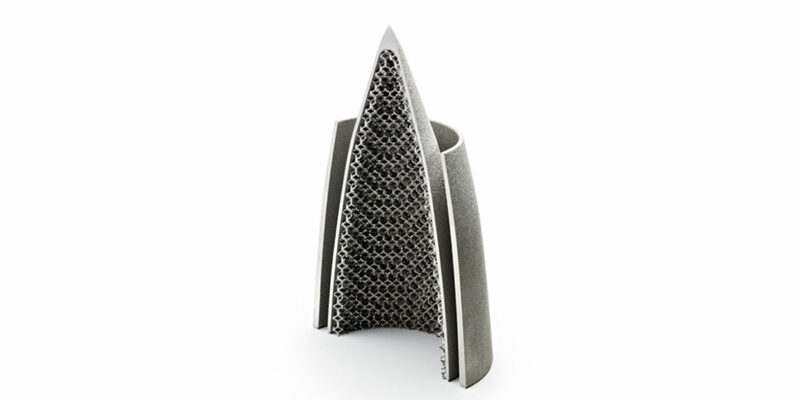 In 2003, a turning point came when the company started to manufacture parts in titanium and when Arcam decided to focus on two specific industries: aerospace and orthopedic implants. Honing in on these two industries would help to cement Arcam’s success. Industrifonden stepped up as lead investor the following year. The company won breakthrough orders in 2006, and the industry opened its eyes and realized the greatness of Arcam’s innovative technology. Orders started rolling in. Fast-forward a few more years – and additional investments from Industrifonden and other investors – and the company’s success was a fact. Building a successful company takes time. That’s no secret. In 2012, the company was listed on the NASDAQ Stockholm stock exchange, and 3D printers started gaining public attention. Support for the company grew, and the following year, Arcam was the company whose value had increased the most on the NASDAQ Stockholm stock exchange. Industrifonden exited the company completely in 2015 – 16 years after the initial investment was made but with a great return to culminate the journey. Qlik is not only one of Industrifonden’s most profitable investments, but one of the best VC investments ever in the Nordics. Check out the story.